Ohio's RED SUN RISING have premiered their video for the new single "Veins". Watch it on KNAC.COM HERE. About the track, the band said, "For some, hope is the denial of reality. "Veins" is not just a song but a series of real conversations, empty promises, and frustrations that threatened the future of a friendship and this band." "Veins" lives on the band's latest album, Thread, which is out now. 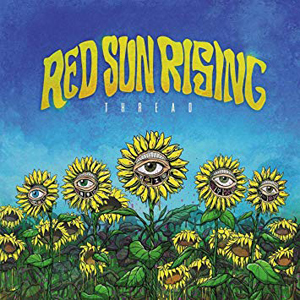 RED SUN RISING will resume touring this month. The band will be supporting SHINEDOWN and GODSMACK and will also appear at several festivals, including Sturgis, Louder Than Life, and Aftershock. All tour dates are below.